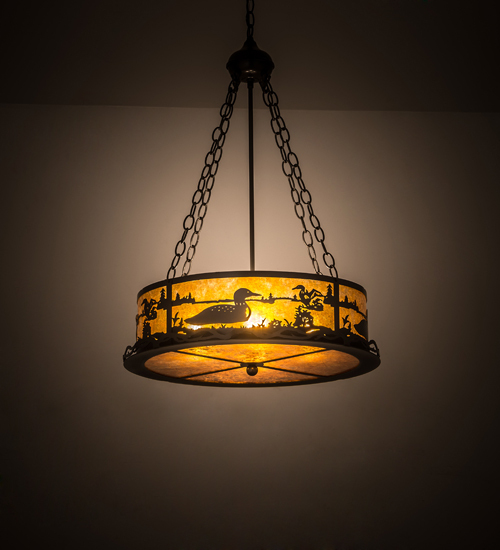 Description: Stunning images of aquatic birds floating on a lake captured in this wildlife inspired Amber Mica fixture, which diffuses beautiful ambient light.The lens is complemented with a frame and hardware hand finished in Timeless Bronze.Handmade by Meyda Craftsmen in the Yorkville, NY manufacturing facility. Custom colors, styles and sizes available. Energy efficient lamping options.